plant arrived in excellent condition had has stayed in great shape, with minimal care. very nice plant. I got several different species and all are doing very good. I was surprised at how fast the shipping was on this order! Price was great value for these plants. Quite satisfied. I was a little disappointed when this plant came, because the dimensions were smaller than described. One good thing; it is still alive with minimal light, it's just not in the place that I originally wanted it to be. 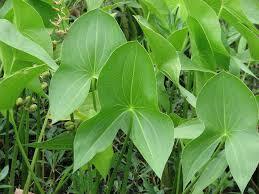 The Arrowhead Plant gets its name from the description of its arrow or pointy shaped leaves. The Arrowhead is also commonly used as a houseplant. For those new to gardening, the Arrowhead Plant is great. This beauty is very low maintenance and requires little attention. Depending on the species of Arrowhead, the leaves presentation can showcase veins of white, yellow, pinkish, or purple. This interesting plant loves moisture and can flourish in low lighting. Avoid overwatering and excessive light. The Arrowhead loves sprouting new leaves and will remain bushy if pruned. The Arrowhead can grow up to 3 - 6 feet but will creep as a vine as it ages. The Arrowhead Plant is fast growing and is common to humid areas. 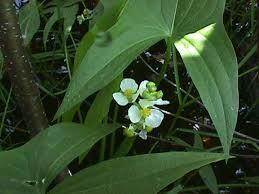 Arrowhead Plant, also known as Duck Potato, Indian Potato, and Wapato, has a tuber eaten by native Americans. Grows in colonies near water. It has thin, white roots. Wedge-shaped leaves on this plant are edible to ducks and geese and other type wildlife. Blooms white in summer and has purple stalks in fall. Syngonium podophyllum, also known as arrowhead plant, is usually grown as an indoor houseplant. It is lovely by itself or in mixed plantings and is a natural plant to grow. Keep arrowhead plant evenly moist, but don’t overwater the plant, as this can cause root rot. Arrowhead plant likes fertilized it once a month. Arrowhead plants are also tolerant of low light conditions. Arrowhead Plant prefers temperatures from 60 to 75 degrees Fahrenheit but can tolerate variations in temperatures, too.